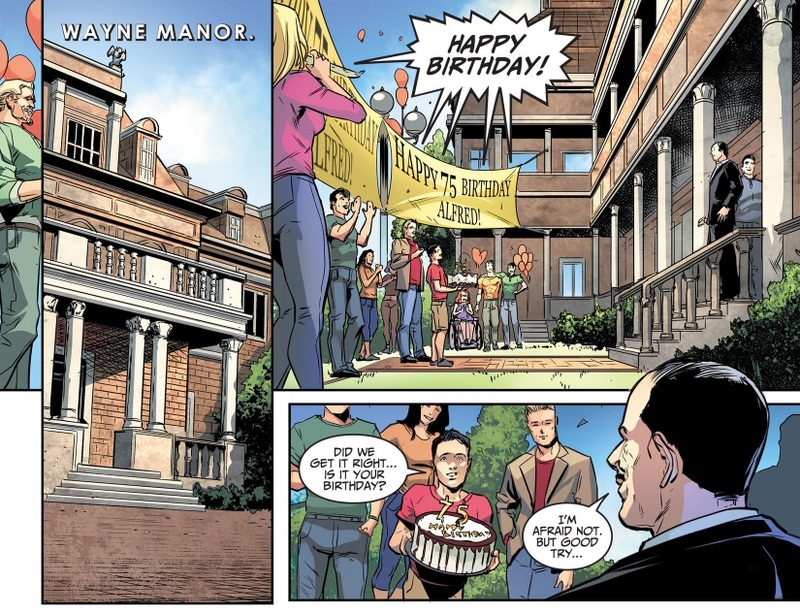 The Justice League, in their civvies, are celebrating Alfred's 75th birthday. 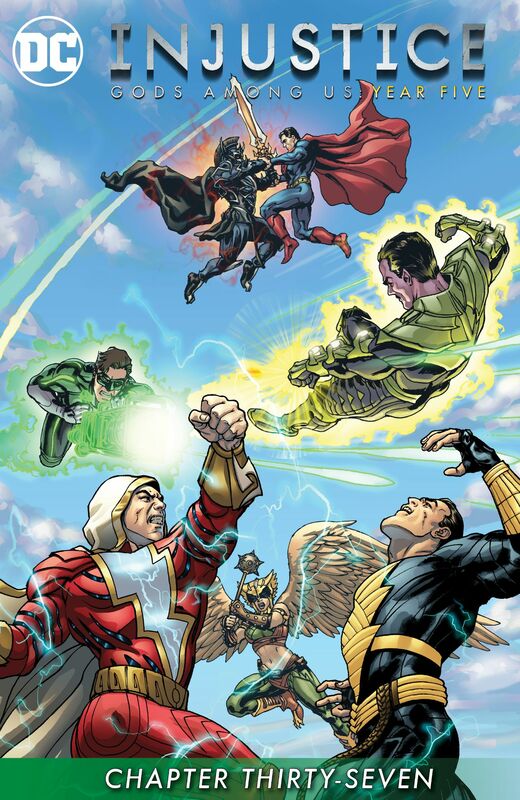 An attack by Lex Luthor and other villains stops the celebration for some, and they engage with the aforementioned in typical combat. Elsewhere, the Joker has escaped Arkham Asylum... again. Story - 4: If I could have gotten away with giving this installment a "?" for a mark, I would have done so. The first blush render mostly confusion, as the events taking place here are incongruous with the world of Injustice: Gods Among Us. If your memory serves you, you'll recall that Superman... eh, forget it. Suffice to say that none of the scenes shown here are in line with the events that have transpired over the last three years of storytelling. So where is this happening? Earth one? 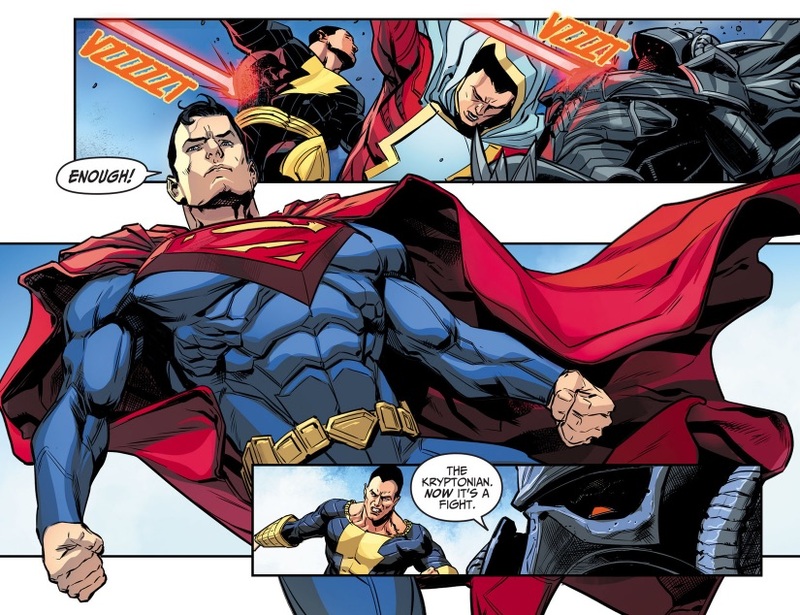 If that's the case, one would have to believe the events of the Injustice world, are paralleled on an analogue earth, which is yet another analogue of the prime Earth of the DC Universe, which is well within storytelling rights, if a bit hard to swallow. That would make the Injustice earth the true realty of the story, while the other is merely a facsimile to bring their doppelg�ngers over to close the storyline. It's not in line with Earth-3, where evil is the norm of the universe, and nothing that is good can hope to last for long, no this Earth, the Injustice world, has been dysfunctional from start to present, so much so that it's given birth to a counterpart that exists simply to remind reader just how much that is the case. 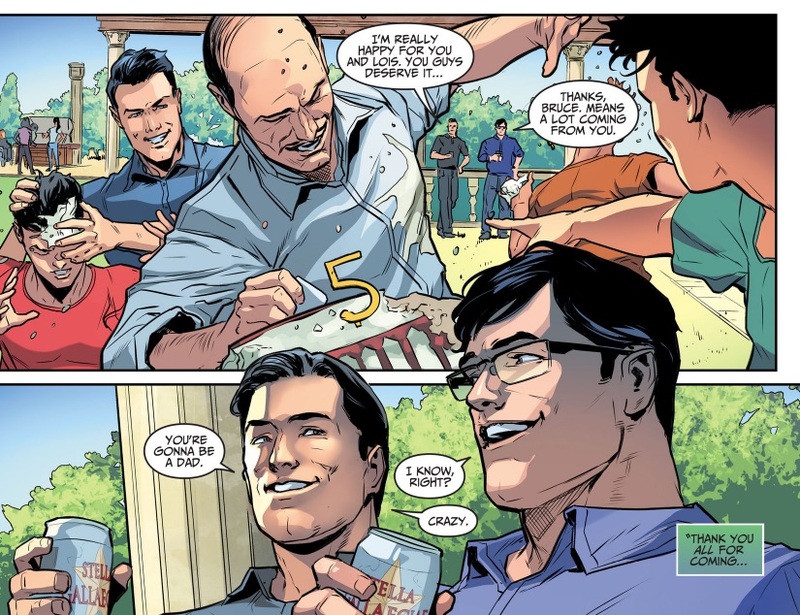 Art - 4: Perhaps it's the feel of the story... no, it's definitely the feel of the story, and that's a nice, really nice shot of Superman, with commentary to boot.